Volume 4, Edition 24 Trouble loading? View this email online. CSUN’s Director of Intercollegiate Athletics Brandon E. Martin announced on Feb. 2 the launching of “One Team, One Goal, One Matador,” which highlights CSUN Athletics’ commitment to developing relationships with CSUN alumni and supporters in the Northridge and greater San Fernando Valley region. 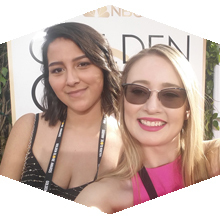 Two CSUN students interned at the Golden Globe Awards, producing social media content for the Hollywood Foreign Press Association. 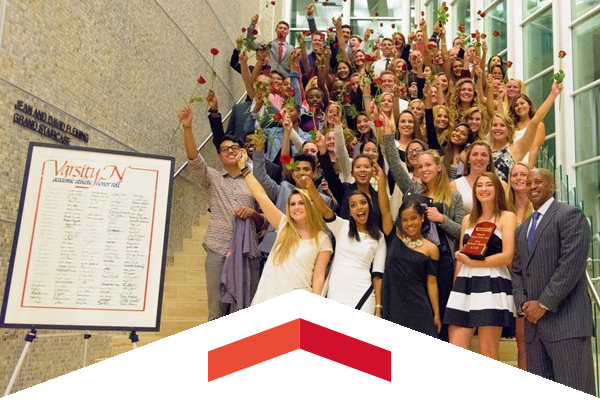 Reconnect and reunite with fellow Matadors, and enjoy the food, fun and festivities, which will now take place in the spectacular Student Recreation Center. 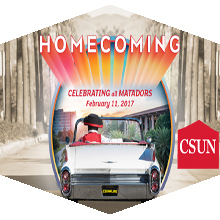 Sat, Feb. 11, 7:30 p.m.
CSUN’s big daylong homecoming event will be topped off with an important conference matchup between the Matadors and the visiting Gauchos. Sat, Feb. 18, 8 p.m.
From the heart of Olvera Street, this L.A.-based, Grammy Award-winning band exemplifies the modern-day creative hybrid of Latin culture, rock and world music. Full- and part-time faculty in CSUN’s Department of Art have created beautiful art pieces in CSUN’s Art and Design Center. This free event provides an opportunity for the community to engage in contemporary sculpture discourse. Patrick Prager, the son of former CSUN Associate Vice President of Student Affairs Mary Ann Cummins-Prager and the late Peter Prager, former special assistant to the dean of the Delmar T. Oviatt Library, completed a brave journey to earn his bachelor’s degree. Inspired by David Reichelt, creative director for the successful mobile game Color Switch, Jonathan Wong began to realize his passion for developing and launched his first side-scroller mobile application, Rainbow Hop. Commit To Be Fit, the free fitness program for CSUN staff, faculty, students and community members, which is led by CSUN Kinesiology students under the supervision of CSUN Kinesiology faculty, is back for the spring semester. Meeting four times per week, Monday through Thursday, participants can elect group or individualized training.